All this depends on when you passed your driving test. Plus, it depends on how heavy your car, caravan or trailer tent are. Drivers who passed their test before 1997 were issued with a “B+E licence”, allowing them to tow a combined Maximum Authorised Mass (MAM) of car and trailer up to 8,250 kg. So, if you’re an 80s or 90s child with a family caravan then it’s worth checking the weight of your tow car and your driving licence to make sure you’re licensed to tow. 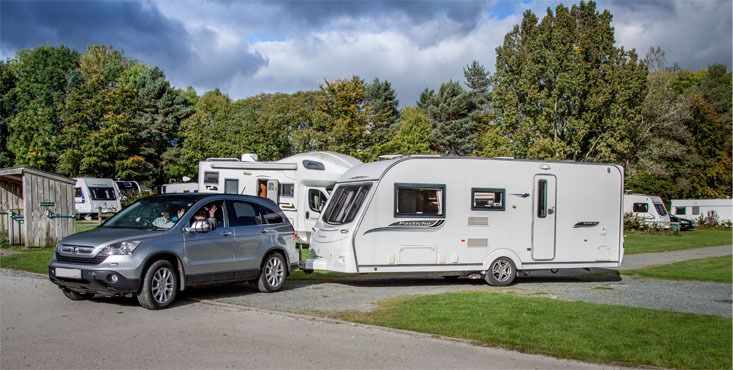 And if you want to tow a caravan or trailer weighing more than 750kg and the combined weight of this and your tow car is more than 3,500kg then you’ll need to take a category B+E driving test. An incorrect driving licence could land you with a fine of up to £1,000 and three to six points on your licence. Very helpful indeed as we all use think our driving licence covers towing a caravan. .tho I passed my test in 1994 so all correct on the license. Just check before buying. If you check your insurance certificate it will say “providing the driver holds, or has held and is not disqualified from holding, a licence to drive that class of vehicle” So if you don’t have the correct category you cannot comply with that condition. Many motorhome owners have fallen foul of the 3500Kg MAM rule in respect of driving licence category, insurance companies never ask WHAT licence you hold do the Year? Thanks Andy, you’re right to point out that if you don’t hold the correct driving licence it could invalidate your insurance. When putting a motorhome owner on cover Caravan Guard does ask if all drivers have the necessary licence to drive the size of motorhome being insured.